Quick: what do you think of when someone says “Brazil”? Football—or soccer as we call it—beaches, bossa nova, the upcoming 2014 FIFA World Cup, and the 2014 summer Olympics. How about if they say “Silicon Valley”? Obviously, computer technology, the late and great Steve Jobs, and business people with really nice suits. What about “Champs d’Elysse?” Probably cafes, the artistic type, really expensive suits—and people who like hanging out, talking eloquently in French, and watching football too. When it comes down to it, it’s all about your location. Either societal or professional, where you are from probably defines you and your profession. Even with the rise in global economies and multinational travel being accessible to anyone who can afford it, the world has still got its own special locations, individual of themselves, and they maintain proud, particular lifestyles for those who occupy those areas. It’s the human experience at special points on the map. Now…what do you think of when you think of “Toronto, Ontario, Canada?” Aside from hot summers and cold winters, a big film festival, and really expensive hockey tickets, you might not think much else. 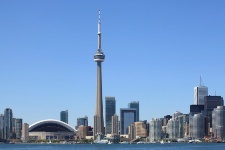 Even though it is the capital of its province and still the biggest city in Canada, a lot of people overlook Toronto and what it has to offer for both pleasure seekers and professionals. But Numero Uno Web Solutions Inc. has that covered. We stand out in Toronto, positively affecting our local and distant business clients—and you and your business, too, if we are lucky enough to get the chance. What is not well-known to some of the greater professional world is that Toronto was and is on the cusp of Internet business, right from inception. The city was one of the first to get hip to the digital trends of the late nineteen-nineties and has retained that right up to the present day. Its economic growth, both at its core and at its periphery, is largely due to it getting on the Internet business bandwagon. Numero Uno is no exception. When we say we are a Toronto SEO company, we say it with great pride. We’ve got the right people involved, and they’ve constantly been doing their homework and research to thoroughly understand digital business, search engine optimization (SEO) and search engine marketing (SEM) trends and developments, the whole works. Numero Uno Web Solutions Inc. is on the leading edge of digital business and we want to share it with out clients to make them effectively stand out on the digital business landscape. In fact, these are our top credentials, and we want to offer as much as we can to our clients, providing the exact services they need for their businesses in the digital world. Numero Uno has acted as an article submissions company in Toronto, creating online articles and related content to drive prospective business to our clients. We do tons of analytics to monitor your business, to see how well it’s doing and how we can improve it as necessary. 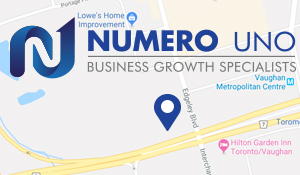 Moreover, Numero Uno provides free information and SEO tips on our web site so that anyone may use them to improve their business. It’s just what we do, and being based out of Toronto, we can do it right. Numero Uno is more than just a web marketing company in Toronto; we are a digital business assistance service that wants to work hard for our clients. We’ve absorbed our location and influences to deliver to you the best digital business help that you can get. If location is what you’re about, then Numero Uno Web Solutions Inc. stands on the shoulders of giants in Toronto, Ontario, Canada as the best, most competitive and hardworking web business assistance provider out there. And we do it for those near to us and those away from us as well. If you search out “SEO company Toronto” on your next Google search, you’ll find a lot of out competition; but Numero Uno makes that extra effort to put Toronto on the map of digital business tradition and you on the map of online business success. It’s our line of work and we are happy to be in it, working for you.